Welcome to the Grant Family Medicine Residency Class of 2021! Kristi Augustine is a Columbus native who was born at Ohio State and raised a proud Buckeye. She attended The Ohio State University where she majored in Chemical Engineering with a minor in Spanish. Kristi left Columbus for one year to work as an engineer at a biomedical company in Denver, CO. While in Denver she fell in love with the mountains and Santiago’s breakfast burritos. She then returned to her alma mater to earn her M.D. 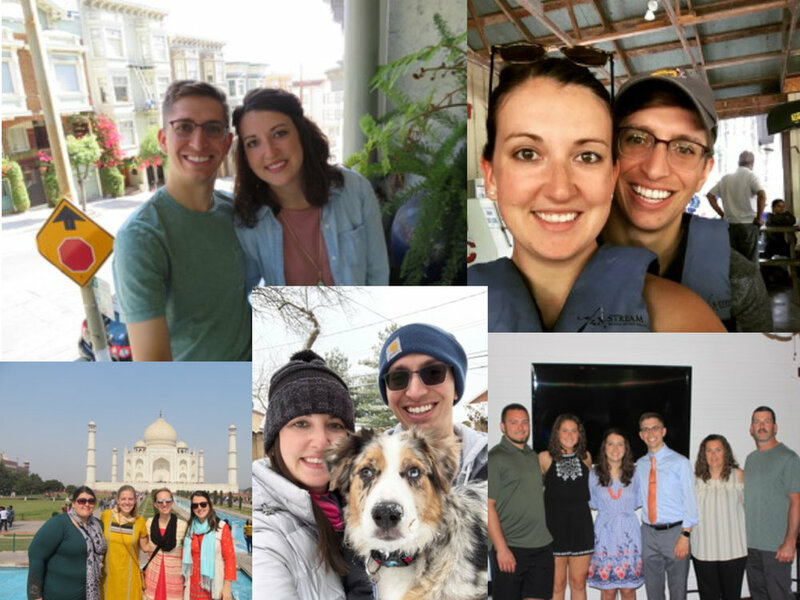 Kristi chose Family Medicine because she is passionate about primary care, prevention, and underserved populations (particularly immigrant, refugee, and international populations). Additionally, Kristi is excited to be training in a field that offers the opportunity to do something different every day and has a wide range of career paths. She was drawn to Grant because of the full-spectrum training, focus on underserved care, and the high resident involvement in advocacy. In her free time Kristi enjoys hiking, rock climbing, playing soccer and softball, traveling, cheering for the Buckeyes and CBJ, and spending time with her husband, Aric. Erin Carter pursued her undergraduate degree in Chemistry from the University of Toledo. Her strong desire and passion to become a physician was fortified during her transition year while working as a scribe at The Toledo Hospital. From that experience, Erin applied and was accepted into the MEDPREP program in Carbondale, IL which provided her with the advanced tools and competitive edge to gain entry into the Boonshoft School of Medicine at Wright State University in Dayton, Ohio. At Boonshoft, she demonstrated a desire to provide medical care for those in underserved areas. She spent countless hours volunteering in the community through her involvement with Student National Medical Association, where she served as Vice President. From there she knew she would pursue a career in Family Medicine! Erin knew Grant Family Medicine was a perfect match for her moments after her exciting interview with the Grant family! Her interests include Women’s Health as well as underserved medicine. She chose Grant because of the opportunity to learn full-scope medicine and for its dedication to service. Megan is originally from Findlay, Ohio. She did her undergrad at Denison University, where she was a biochemistry major and a member of the volleyball team. She then traveled back to Northwest Ohio to get her MPH from the University of Toledo before going to medical school at Ohio University Heritage College of Osteopathic Medicine. Megan chose family medicine for the diverse opportunities within the field and the chance to play a role in preventative and public health. Her interests include women’s health and contraceptive care, sports medicine, outpatient procedures and OMT. She is passionate about underserved medicine and international health and hopes to incorporate both in her future practice. However, Megan really has no idea what she wants to do after residency, it changes almost weekly! This made Grant the perfect place for her. She knows she will be well trained for whatever path she chooses. Megan enjoys traveling, hiking, kayaking, playing volleyball, going to the zoo, and binge watching the Big Bang Theory. She is excited to finally be living in Columbus with her significant other, Keenan, and their two pets, Tuscany and Sadie. Dr. Miranda is an Intern, joining the Grant Family in July of 2018. Originally from California, he attended undergrad at Dartmouth College as an economics major and four year baseball team starter before embarking on an 8 year career in Fashion Merchandising at Abercrombie & Fitch and AEO. Chris desired to impact the lives of those around him more deeply and to continue to challenge himself to grow as a person intellectually by becoming a physician. He recently graduated from OUHCOM as part of the first graduating class at the new Dublin, OH campus. He lives in Dublin with his wife, Ashley, three children Madison (7), Cruz (4) Foster (3), and two King Charles Spaniels Zooey and Georgia. They are the focus of his life. He enjoys golf on the days he hits it straight more often than not, auto and home improvement projects when everything goes smoothly, binge watching great TV (Breaking Bad, Seinfeld, any sports playoffs), snowboarding, cycling, running, and working in the yard. His interests in Family Medicine include absolutely everything! Chris just wants to be the most well rounded physician he can possibly be and knows Grant is the perfect place to achieve that well-trained and well-rounded goal. Darian grew up in Garrettsville, a small town in Northeast Ohio. She attended the University of Akron where she majored in Natural Sciences and minored in Chemistry. She received her medical training from NEOMED. 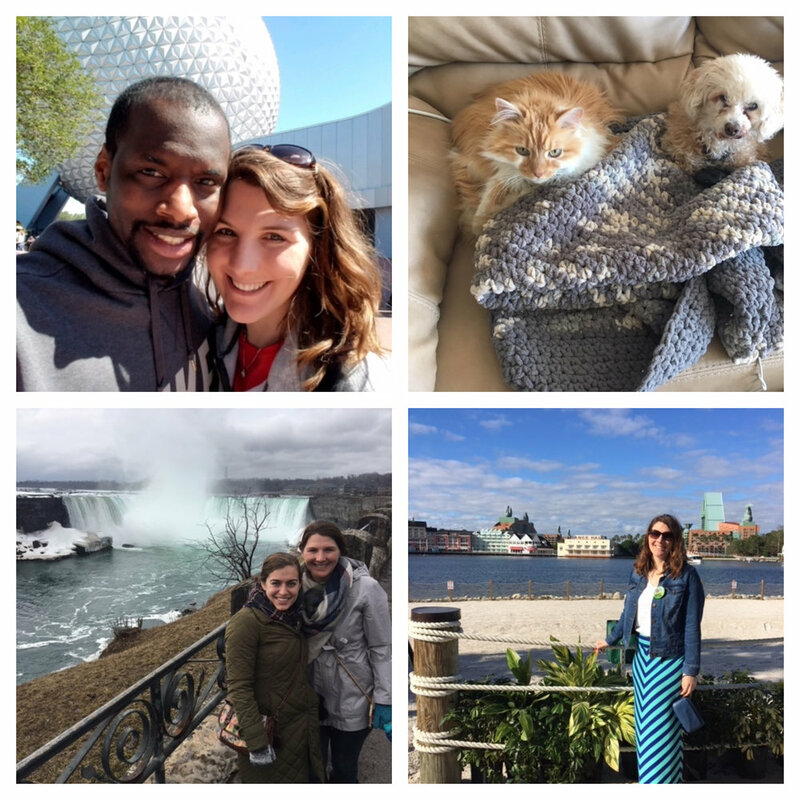 During medical school, Darian met many of her mentors through NEOMED, surrounding hospitals, and the Ohio Academy of Family Physicians (OAFP). 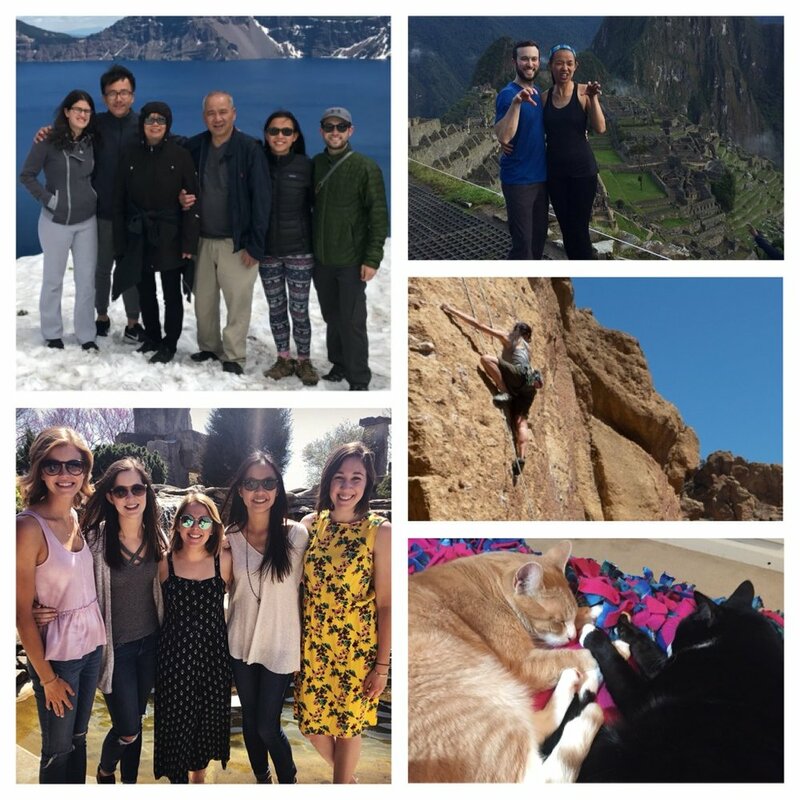 These physicians and teachers led her to realize her dream of becoming a family physician. Darian loves family medicine for its broad scope of practice, diverse patient population, and the ability to form long-lasting relationships with her patients. She has a passion for underserved, especially rural, communities as well as for women’s health and advocacy. Darian chose Grant Family Medicine because of the people and the broad spectrum training. Outside of medicine, Darian likes to explore her new home of Columbus with her fiancé Brandon. She enjoys traveling, camping, kayaking, skiing, and playing volleyball. She also loves to cook and bake, especially her grandmother’s recipes. Lacey is originally from a small town west of Dayton, Ohio. She attended Wright State University majoring in biology before attending Ohio University Heritage College of Osteopathic Medicine, Dublin campus for her medical education. She loves family medicine because of the wide scope of practice and the life-long relationships built with patients. Her professional interests include mental health, musculoskeletal medicine, and providing healthcare to underserved populations. Outside of medicine Lacey enjoys spending time with friends, family, and her soon to be husband, Andrew, and their dog, Bodhi. She also enjoys experimenting with egg-free baking since Andrew is allergic, being outdoors, and doing crafts. After residency, Lacey is considering doing a fellowship with plan to stay in Ohio. She chose Grant after falling in love with the program as a third-year medical student. From the warm and welcoming faculty to the full spectrum training, Lacey knew there was no other place she would rather train than Grant! Zachary Smith was born in rural Oklahoma and is a graduate of the Georgetown University School of Medicine. While working as a biomedical engineer after college, Zac became increasingly interested in clinical medicine and healthcare delivery—especially when viewed from the perspective of society’s most vulnerable populations. Prior to medical school, he obtained a Master’s Degree in Health Administration (MHA) from the University of Oklahoma and worked several years in hospital administration. As someone from a rural area who has studied healthcare delivery, Zac greatly values the power of primary care. He looks forward to a career in family medicine where he can pursue his many academic interests, including the social determinates of health, population health, and healthcare improvement. 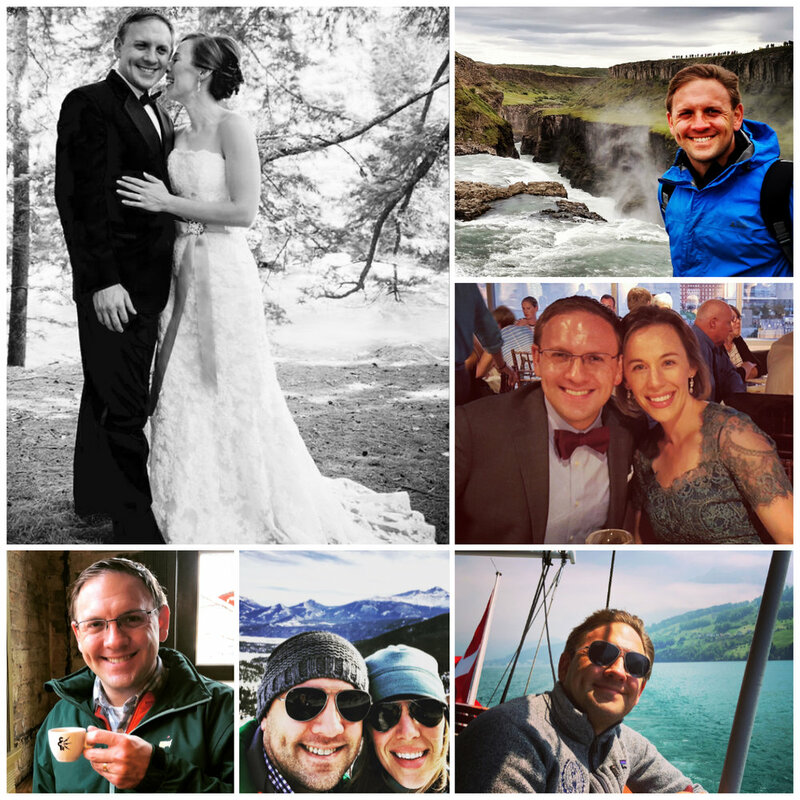 Most of all, as a family physician, Zac looks forward to providing care for patients at each stage of their lives, taking a holistic approach to understanding each patient, and developing long-term and meaningful relationships within his community. Zac chose the Grant Family Medicine Program because of its strong reputation for training full-spectrum family physicians as well as its wonderful faculty and staff who create a welcoming environment and supportive culture of learning for residents. In his spare time, Zac loves spending time with his wife, Courtney, traveling and having adventures, reading books, exploring coffee shops and eating pastries, and making a noise that vaguely resembles music on his guitar. Teresa was born and raised in Cincinnati, Ohio. She attended the University of Cincinnati for both her undergraduate and medical school years. She was drawn to primary care since the beginning of medical school and chose Family Medicine because of the chance to care for the whole person in the setting of their family and community, emphasis on long term personal relationships, and ability to care for people of all ages. Teresa has a special interest in mental health in the primary care setting and in underserved medicine. She was floored by the people at Grant on her interview day. Their passion for patients, training excellence, and sense of community within the residency were magnetic enough to uproot Teresa from her hometown and bring her up the road to Columbus to make her new home! In her spare time, Teresa enjoys spending time with her fiance Jacob and her family and friends. She also loves to sing with her barbershop quartet, play the piano, discover new strategic board games, read, and spend some time hiking. Ada Yu was born in New York City and grew up in Salem, Oregon. She attended University of Puget Sound where she majored in Mathematics and Chemistry. During Ada’s undergraduate years, she played tennis and went on yearly medical and public health trips to Central America, which sparked her interest to become a sports medicine physician. Ada then ventured to the Midwest to attend medical school at Marian University in Indianapolis. During her rotation at Grant, she fell in love with all of the learning opportunities, residents, and faculty. Ada also has interests in women’s health and public health. Outside of medicine, Ada enjoys various sports, traveling, and the outdoors. She still enjoys playing tennis, and began rock climbing during her time in Indianapolis. She also enjoys watching football and basketball. Ada recently traveled to Peru and hiked the Inca Trail to Machu Picchu.